I don’t know about you, but I’m of the view that life is way too short not to celebrate every occasion. So, when Julian and I were approaching our 10th Wedding Anniversary, we decided we wanted to celebrate with a special trip; one that followed a similar pattern to our honeymoon - Cape Town, Kruger safari and Mozambique beach - but also ticked off a few things on our Travel Bucket List. The question was: where to go? To be honest, I knew the beach section had to involve a stay on an island I'd wanted to visit for such a long time, Mnemba, which sits on the north-east coast of Zanzibar. No matter how many times you’ve been on safari, the chance to get up close and personal with wild animals never tires. 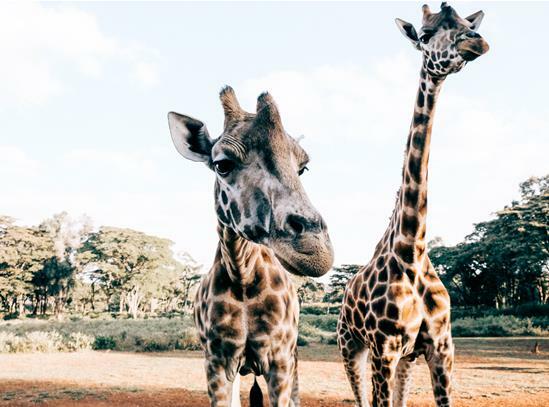 A stay at Giraffe Manor allows you to do just that with its residents, Kenya's highly endangered Rothschild giraffe. Here the giraffes are not pets but part of a highly successful breeding programme. Flying into Nairobi from the UK, we arrived at Giraffe Manor late afternoon and little did I know that the giraffes also like to make an appearance for afternoon tea. So lucky us, we got two opportunities to interact with these stunning creatures. Come 5:30pm, the rattling of pellets can only mean one thing……the giraffes are coming! I cannot put in to words how utterly amazing it was to get so close to these magnificent long-necked creatures. Placing a pellet between our fingers Edd, Daisy, Kelly et al scooped them up with their rather long tongues. The next day I was like a giddy child on Christmas morning. Up and down, up and down to the window to see if we had any visitors. Eventually I spotted the giraffes heading our way. I was beside myself! We had Betty’s Room in the original ivy clad Manor House, which had its own balcony from where we could start the morning feed. And boy, they had a pretty insatiable appetite! Once our new friends had finished their in room service - each room comes with a bucket full of pellets - we headed down for breakfast and a room full of inquisitive giraffe heads. After breakfast, as we were packing to leave, Edd decided he wanted another feed. It's quite a shock to find a giraffe peering into your bedroom window! I have to say, I will never forget the extraordinary company (Julian aside) I kept that night at the Manor. ON SAFARI AND "OUT OF AFRICA"
From Nairobi we flew in a 12 seater Cessna to a teeny, tiny airstrip in the Mara Triangle, a few minutes from our safari Lodge, Angama Mara. Sitting on the Oloololo escarpment, high up above the Great Rift Valley, the Lodge has the most breath-taking views. 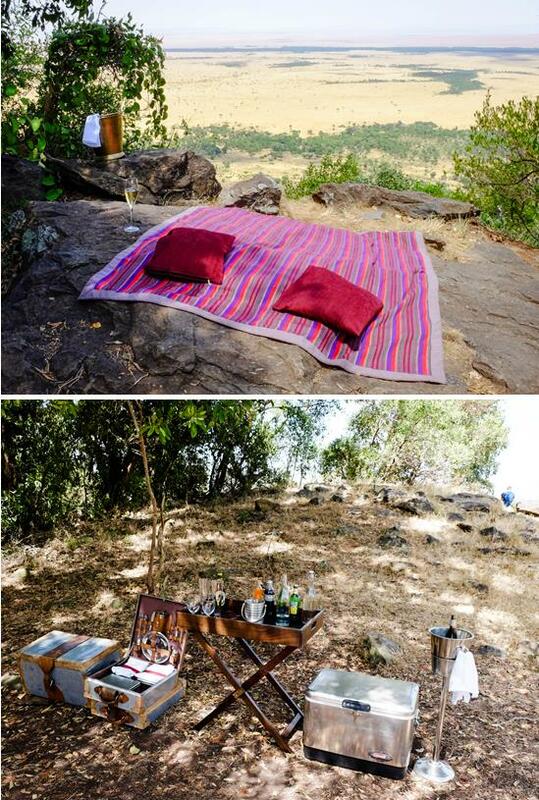 For fans of “Out of Africa”, many of the memorable scenes from the film were shot on the land around the Lodge and one of the highlights of our stay was a picnic on the exact kopje (hill) where Redford and Streep picnicked. Chilled champagne, a lunch served from the same picnic hamper used by Karen Blixen and Denys Finch-Hatton (as portrayed by Streep and Redford), nobody else around and that mesmerising view of the Mara unfurling below. Truly magical. When booking Angama Mara, I was a little wary as the Lodge is way bigger than I would normally choose to stay at on safari, but the 30 designer tents are split between two camps which makes the whole feel more intimate. Umm! “tent” - that really is the wrong word. Yes, they have canvas elements, but my word, inside ours was big and beautiful and not a zip or flap in sight! Huge glass sliding doors gave way to our deck where we breakfasted whilst watching the sunrise and the Mara’s fuzzy horizon of smudged acacia come to life. Or later in the day partook in a “rocking chair” safari. 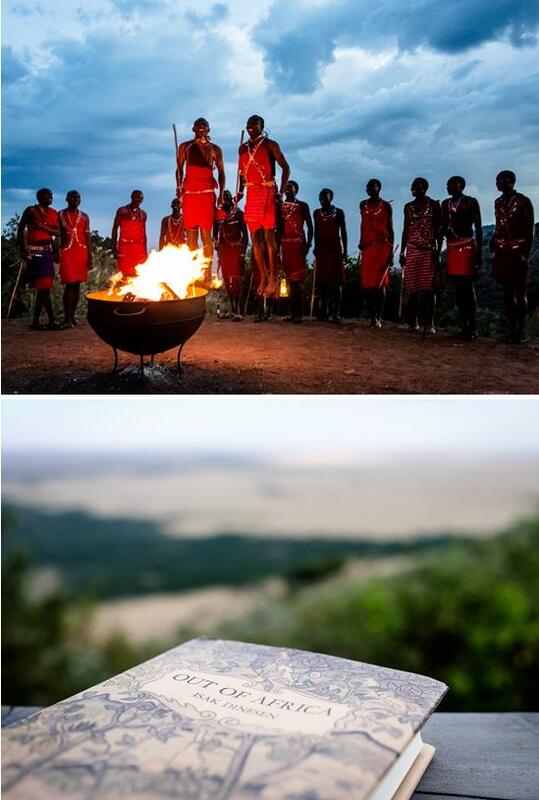 Although contemporary in design, Angama Mara honours its location with subtle Maasai influences everywhere (the Lodge has a great relationship with the local Maasai tribe) and of course, a copy of “Out of Africa” in every tent. But being on safari isn't just about the accommodation, right?! We were there to see the Great Migration, which was in full flow. The Lodge has a private road that leads right down into the Park, albeit often our journey was delayed as we had to give way to elephants making their way down from an evening spent on the escarpment. The Mara was teeming with herds of zebra, buffalo and wildebeest which were rather amusingly following each other around single file like sheep. Going on safari is an exciting experience since you never know what you will happen across. We were so lucky to see not one, but two river crossings. I can honestly say that nothing quite prepares you for the drama and spectacle of watching (and listening to) thousands of zebra, impala and wildebeest trying to get from one side of the river to the other without being snapped up by crocodiles. To witness such spectacle is a real privilege. But, you pretty much have to accept that there will be others at the main crossing points wanting to see the same thing. 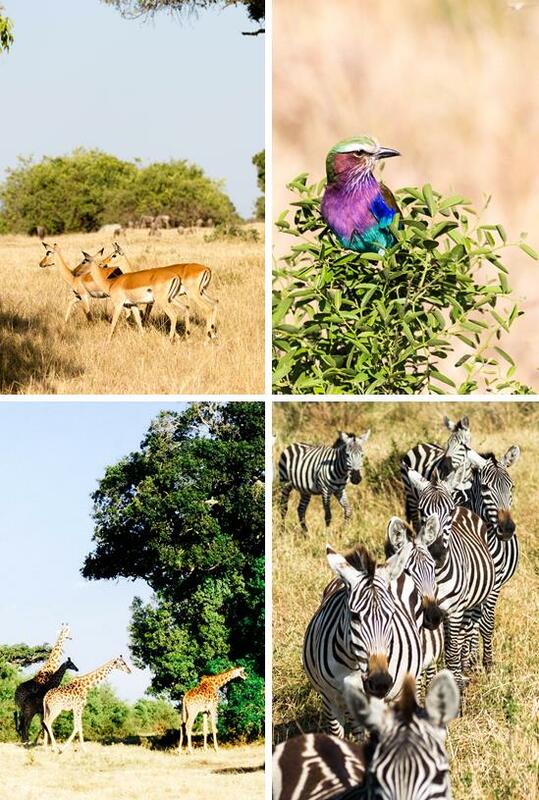 Luckily, the Mara Triangle, where Angama Mara is situated, is much quieter than other areas within the greater Maasai Mara. Also, you can rely on Angama’s guides to get ring side seats, whilst the Mara Rangers do an excellent job in monitoring the number of jeeps and, once the action starts, I can guarantee you really won’t notice your neighbours. After all the excitement is was time for lunch out on the savannah. Later we pull up what seems perilously close to a cheetah. I could feel its breath as it took refuge under a tree from the heat of the mid-day sun. Everywhere we looked there is something amazing to see. Like human life, it's all about the family. 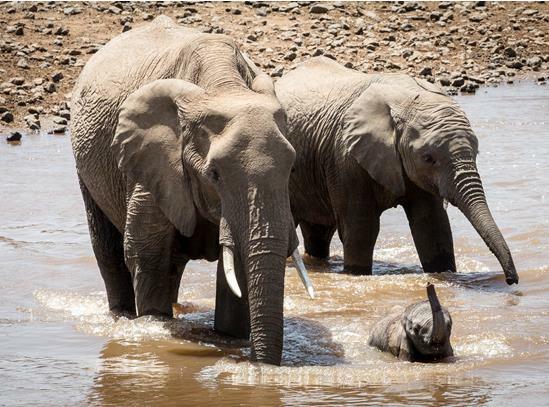 Elephants making a river crossing, carefully shielding a baby, which trumpets sweetly. Everything plays out in front of you like a nature programme. We sat for ages watching two lions try to take down a wildebeest, but it outsmarted them; a rare occurrence. Early one morning we stumbled across a lion breakfasting on its kill. But it’s not all about the big stuff. 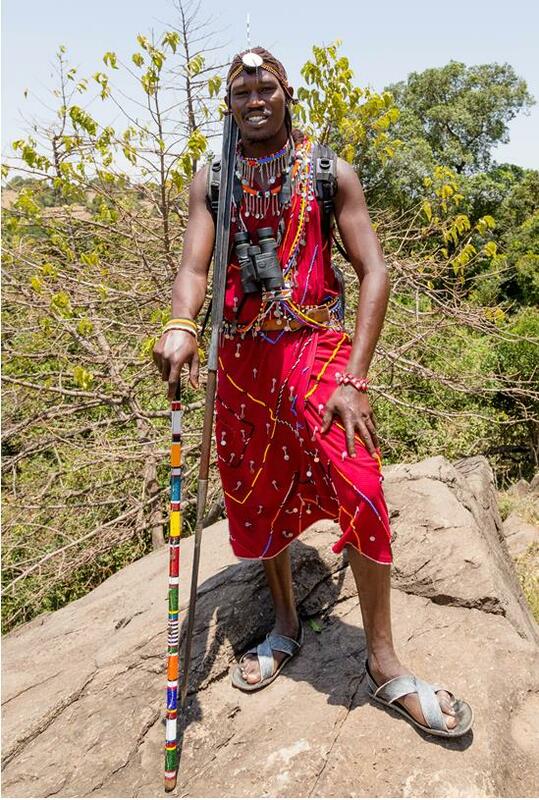 We took a bush walk with Fred, the Maasai Naturalist, which was totally fascinating. He is definitely the font of all knowledge on the “little five”. Before we knew it, four nights had passed and it was time to say “goodbye” to our guide, Lemaalo. But, before our plane could land, there was the little matter of clearing the runway! Next stop Zanzibar..........read about that here. 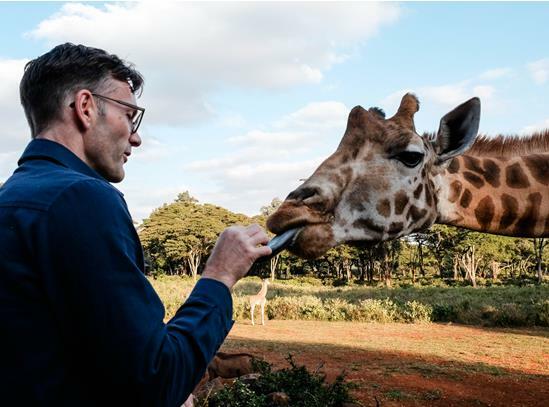 If you'd like to tick some items off your Bucket List, either in Kenya or elsewhere, please do get in touch and let me help arrange your trip of a lifetime. I'll ensure you have a stress free, seamless travel experience from the planning stage right through to when you return with lifelong memories.